Going on the same place that you have crossed-out in your checklist might get a little boring most of the time. And if you ever stepped in this side of the planet wherein coconut trees grow like mushrooms, climate seems to disturb your western skin and people are friendlier than your usual neighbours; you're probably in the Philippines! So we have to skip the part wherein we feature the best places in the country, and we focus on the people and their festivities. So if you're wondering what are the best festivals in the country? You're in the right spot. Check out as we list down the five spectacular Festivals that will make you experience the real grandeurs and diversity of Philippine culture. 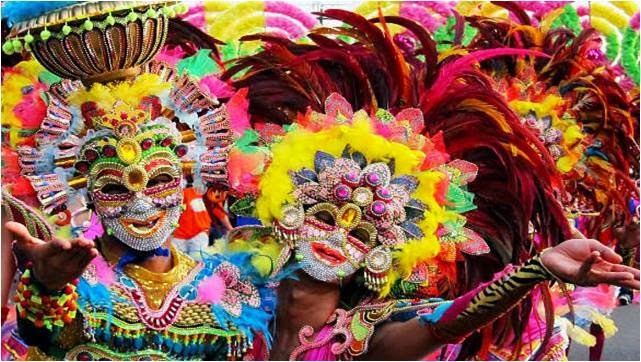 Masskara Festival is one of the most sought after Festivals in the country. It features Brazil's Carnaval-like floats with bikini-clad muse in the inaugural Electric Masskara. The festival was conceptualized due to Negrense crisis in 1980 when the Sugar industry, where the province is well-known of, experienced an astounding slump. Masskara is coined with words Mass which means crowd and Cara, a Spanish word for face. This is also one of the main reasons why the city is called the City of Smiles. The festival was a scapegoat for the locals in which they wore their smiles amidst their most difficult situations. The event highlights the street dance competition where different barangays gather into troops and dance into Latin beats in the streets of Bacolod City every third week of October. 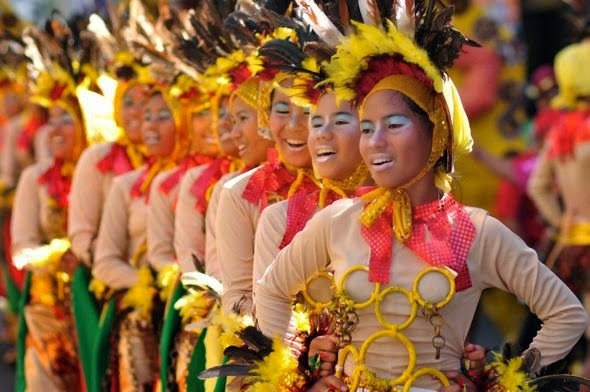 Sinulog Festival in central Philippines is the biggest festival in the archipelago. It’s called the Mother of Festivals; and is a mix of cultural and religious event for most Cebuanos. This inaugural festival is celebrated to give honor to Santo Niño (Child Jesus) which shows how Filipinos accepts Christianity or Roman Catholicism that was staged in Cebu in the year 1521. The festival highlights the grand street parades which last for almost half a day with several contingents coming in different places in the country. Sinulog is celebrated every 3rd Sunday of January. This festival is held in Baguio City, located in the northern region of the Philippines known as the Summer Capital of the country. 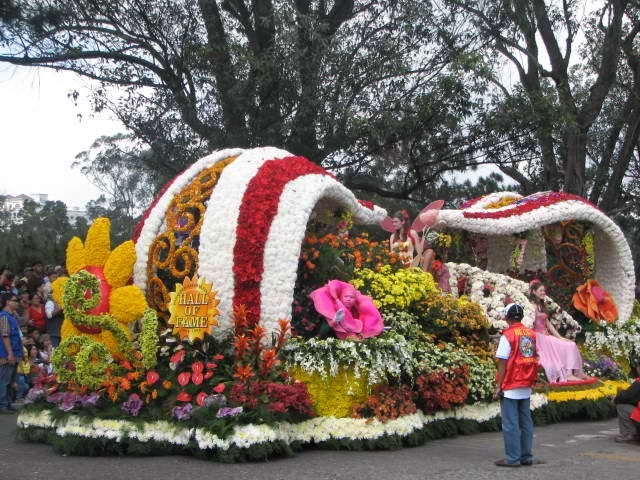 Panagbenga simply means "Season of Blooming" of the city's vast selection of flowers every month of February. Floats made from different kinds of flora that flock the streets of the city are comparable to Pasadena's Rose Parade. Dancers who are clad with flowery costumes accompany these floats in the tune of the region's native Ibaloi dance. The festival is also a symbolism of how people in Cordillera rise after the destructive 1990 North Luzon earthquake that hit the city and surrounding territories. The Panagbenga Festival is celebrated in the whole month of February extending until first week of March. The Kadayawan Festival is the most anticipated event in southern Philippines. This is a celebration of Davao City, country's biggest city in terms of land area which lies in the foot of the tallest mountain in the archipelago, the Mt. Apo. Its name comes from a local friendly greeting "Madayaw" from the word "Dayaw" which means good or beautiful. This is a thanksgiving celebration for the city’s abundance of gifts of harvest and culture. 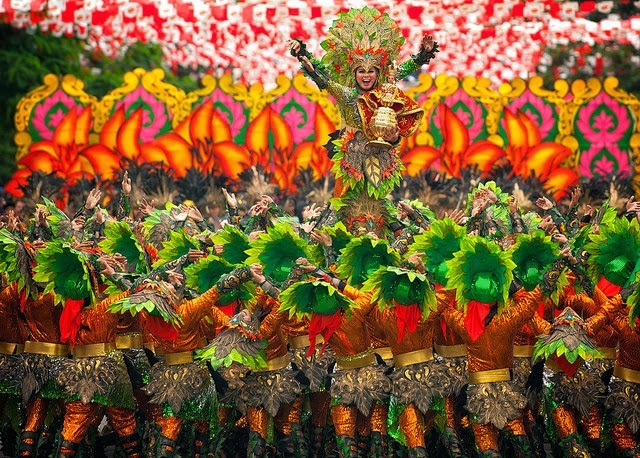 Just like the Panagbenga, the festival is defined with its floral parades and street dancing competitions. Exhibits that showcase the city's varied products and tourism are also held every third week of August. Dinagyang is also a celebration in honor of Señor Santo Niño in its religious perspective as well as the commemoration of the Malayan settling in the island of Panay in its cultural sense. The festival is characterized with brown-painted Tribe members dance in drum beats in street parades. These "Tribus" commemorate how the indigenous people called Atis sold the island to the Malays in history.